These Shamrock Mason Jars are just perfect for your St. Patrick's Day decor! AND sooooo easy too! 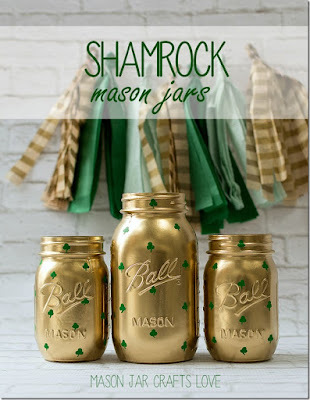 Linda at Mason Jar Crafts has everything Mason Jar Crafts including this Shamrock Mason Jar tutorial. Just click on the photo above.